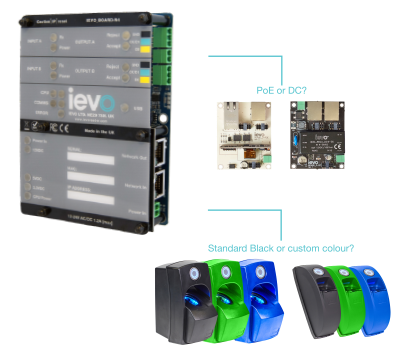 The ievo Control Board is a powerful, dedicated fingerprint matching system, supporting any connected ievo fingerprint reader unit. The Control Board acts as the main communication platform for integrated systems, providing secure and highly reliable authentication data for processing. ievo systems have been designed to operate via the ievo Control Board which can support up to two ievo readers. This Control Board is fully serviceable, with the modular design, different components can be easily added, removed or replaced. The modular design also means that as your business or site grows and demand for security increases, ievo solutions can be upgraded or expanded to support this growth.